Is a Pescetarian Diet Good for the Environment? Have you ever heard of the Mediterranean diet? It’s based on the diet patterns of Greece, Italy, southern France and other countries located along the Mediterranean Sea. This diet focuses on grains, fruits, vegetables and seafood, and limits red meats and sweets. In many ways, it’s similar to a pescetarian diet, which is a primarily vegetarian diet that still includes seafood but eliminates red meats. Pescetarians source the majority of their food from plants and grains while incorporating the many nutritional benefits fish offers—lean animal protein, plenty of vitamins and minerals and omega-3 fatty acids, to name a few. While there’s no question that a pescetarian diet is good for you—there’s plenty of scientific evidence demonstrating the perks of eating seafood and vegetables—this diet is also one of the better ones for the environment, too. Studies have found that pescetarianism, like vegetarianism, significantly shrinks your carbon footprint. That’s because fish release far fewer greenhouse gases than their land-based counterparts. Fish also consume a fraction of the water that livestock does, and aquaculture operations are a lot less pollutive when it comes to the chemicals, pesticides and antibiotics they release. Some fish farms, such as those run by Regal Springs, abstain from antibiotics and pesticides altogether. We also regularly monitor the water quality in the pristine lakes where we work. Fish farms that specialize in non-predatory fish that are either herbivores or omnivores, such as Tilapia, are much more sustainable than those who don’t. At Regal Springs, we feed our Tilapia a nutritious primarily vegetarian diet, further reducing the carbon footprint of our fish. Farming beef, poultry, pork and other land-based meats takes up a large portion of the world’s arable land, agricultural produce and fresh water. They produce greenhouse gases and sewage comparable to that of a small city. Meanwhile, forests (which would normally help with air quality) are cleared to make way for more farms. If we want to envision a sustainable future, we need to start eating cleaner and smarter. It’s important to keep in mind that our oceans are facing some serious sustainability issues. No fishery is infinite: around 90% of wild stocks are already overfished or harvested at capacity. At the same time, not all farms raise their fish responsibly. This problem is more common in developing nations and countries with lax regulations. As a consumer, you have to make sure you’re investing in the most sustainable products. There’s a lot of information available about which products are certified sustainable and which aren’t—and plenty of that info can be found on the package or label. For wild-caught fish, look for the logo of the Marine Stewardship Council or for credible environmental organizations such as Ocean Wise. For farm-raised fish, check for Global Aquaculture Alliance and the Aquaculture Stewardship Council. They have rigorous standards for hatcheries, farms, feed mills and processing plants. Many North American companies have taken the initiative to sustainably source their fish. Most Tilapia, salmon and shrimp in the USA are certified by third-party auditors. Regal Springs has stamps of approval from the Aquaculture Stewardship Council, the Global Aquaculture Alliance and Oceanwise, among others. In more recent years, sustainable seafood has become a bigger concern at the corporate level as well. Supermarkets and restaurants are starting to source their seafood from better companies—but there’s still work to be done. And of course, this is all driven by consumer demand. As you consider becoming a pescetarian, or if you already are, make it a point to ask the management of your favorite grocery stores and restaurants where they get their fish from. It goes a long way in ensuring that your diet is as good for the environment as it is for you. Ready to make the switch to pescetarianism? Start with some of our favorite Tilapia recipes over at The Healthy Fish. 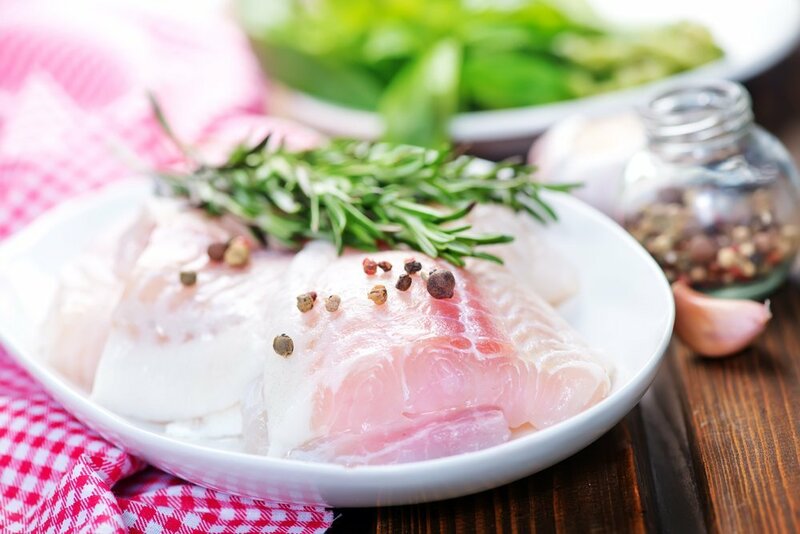 Photos: topnatthapon / Shutterstock Inc., Regal Springs, Gayvoronskaya_Yana / Shutterstock Inc., Sergey Ryzhov / Shutterstock Inc.
Get updates on how Regal Springs Tilapia is the best you can buy.